We know that covering vehicles and equipment is really about everyone lifestyle about time spent outdoors hunting camping grilling or whatever it is we do. We want to help everyone make that time as amazing as possible. We have steadily increased our investments in design and product development to the point that we are making the most innovative benefit-rich products. Classic Accessories commitment to research, design, development and quality have established us as an industry leader in outdoor covers and gear. Now over 60 employees, some overseeing production abroad, share Jacob s unyielding commitment to innovation, collaboration, and quality at every stage of the product lifecycle from design to delivery whether it be a steering wheel cover, an RV cover, or something in between. As a team, we are a proud bunch, working together to uphold our Mission Statement and live up to our name. 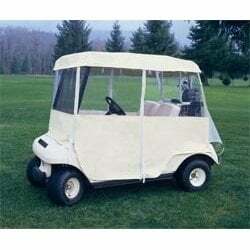 Fits golf cart seats in minutes. Soft fabric comfortable against skin and protects from heat or cold. 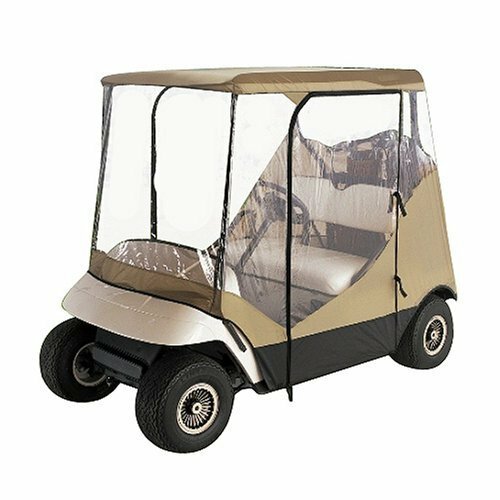 Fits most Yamaha Club Car and E-Z-Go two-person golf cart bench seats. Includes adhesive backed rip-and-grip to further secure enclosure to your UTV. Dimensions - 6 W x 30 H in. The Classic Accessories Tractor Seat Cover offers water-resistant coverage to new seats and makes older seats look and feel new again. Storm-X fabric has a water-resistant backing for maximum strength abrasion and weather protection. TThe tractor seat cover features a thick cushion providing extra comfort. Getting a snug fit is easy with an elastic shock cord in the bottom for a quick custom-like fit. Seat back cover features handy tool and gear pockets.